The Chairman of Warri South Local Government Area, Hon. Michael Tidi has identified illegal bunkering and oil theft as major challenges confronting Warri South, saying the illicit business is destroying the eco-system and resulting in huge economic loss to the Nation. 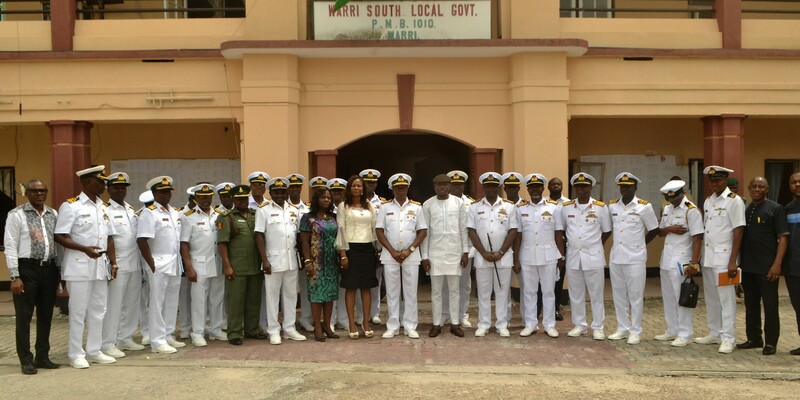 The Warri South Local Government Boss made the declaration at the Warri South Council Main Secretariat, Warri, Wednesday April 11 when he played host to Course 2 Participants of Naval War College, Nigeria, who visited the Council as part of their weeklong study tour of Delta State. Hon. Tidi averred that the synergy between his administration and security agencies since assuming office January 8 this year, has led to drastic reduction in violent crimes such as kidnapping of expatriates and locals as well as sea piracy along the coastal communities in Warri South Local Government Area, just as he quipped that doing business on Waterways in the Local Government is now safer. While disclosing that his administration will organize the maiden Warri South Council Economic Summit April 24 through 26 with the aim of wooing investors back to Warri, Hon. Tidi appealed to the Federal Government to revive the seaport in Warri because “Warri could be the gate-way to the industrialization of the South-South and South-East Regions of Nigeria “. Leader of the Course 2 Participants of Naval War College, Nigeria, NWCN, Rear Admiral TC Udofia in his brief, explained that the essence of the study tour whose theme is “Enhancing Socio-Economic Development of Coastal States through collaborative Maritime Security” was to expose participants to the efforts of the State Government in support of maritime security. 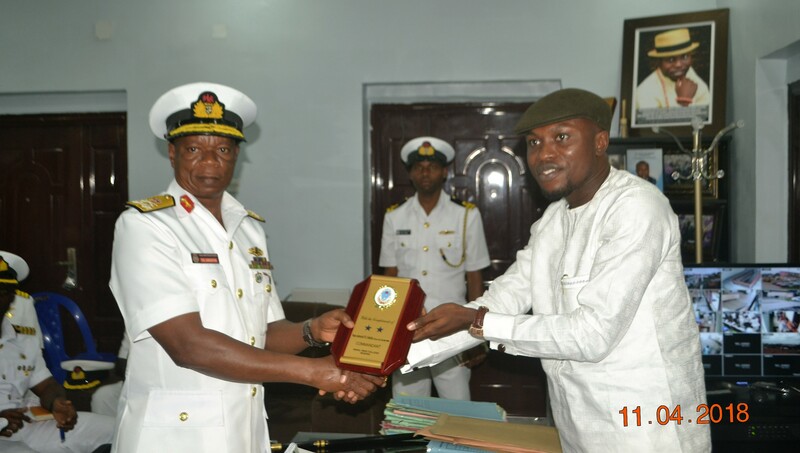 Rear Admiral Udofia noted that the Naval War College, PortHarcourt was established in 2017 to develop critical competence of Naval Officers selected for the programme. The Course 2 participants of the Naval War College that visited Warri South Council included Deputy Commandant, seven DS and three Admin Staff, while Vice Chairman of Warri South Local Government, Mrs. Divine Ann Iniovosa and Secretary to Warri South Local Government, Mr. Oribioye Uwale were among executive members of Warri South Council that were on ground to receive the study tour participants.